Newcastle singer-songwriter Catherine Britt has been a presence in Australian country music for so long that it’s easy to forget she is still a young woman. She has released several albums, toured extensively, survived breast cancer and its treatment, bought Rhythms magazine, and recently become a mother. She has also moved to the other side of the mixing desk and become a producer – a very welcome development, given that Australian country music has many female artists but mostly male producers. Britt had the credentials to be a producer years ago – she emerged almost fully formed as artist, and her knowledge of music, especially country music, is vast – so she may become so busy producing other artists that she has little time for her own music. Which is why we should treasure her new project and album, both titled Catherine Britt & the Cold, Cold Hearts. The album was recorded in Britt’s home studio, Beverley Hillbilly Studios, with engineer Jeff McCormack, while Britt and band members Michael Muchow and Andy Toombs produced the album, with Bill Chambers appearing on all the tracks. Britt has often written personal songs, but not – from memory – a song cycle that is almost entirely personal, as this album is. In that way it’s an evolution from her previous album, Boneshaker, and musically it’s also a change, featuring a more stripped-back country style that suits Britt’s ‘honky tonk girl’ roots as well as the nature of the songs. Britt has always been able to command and control emotion in her songs in a way that never feels manipulative of the listener, and that is true of several songs on this release, including ‘Too Hot to Quit’. She also does a very good haunting ballad, such as ‘The River & the Gum’. While her sound is always steeped in country music, she makes the most of the fact that there are many strands to country. Each of her albums contains a variety of song styles that always sound like Britt but which illustrate that her intelligence, experience and knowledge are such that she can call up what each song needs without giving into the temptation of doing what she’s done before. In this Britt is reminiscent of Kasey Chambers – you could never mistake one for the other, and if they sang each other’s songs you’d be able to tell who wrote what, yet they both have an extraordinary ability to synthesise their musical history, talent and lyric abilities to create songs that come from a deeply personal place and are also universal. We don’t hear either of them being referred to as counting among ‘Australia’s greatest songwriters’ – they are not in that hallowed canon, apparently – but that’s what they are. On this Cold, Cold Hearts record Catherine Britt proves – not that she needed to, because she has already done this, over and over – that she is an artist for the ages, accomplished, daring and strong. Let’s hope she continues to find time to write, record and produce her own music as she continues on the path of supporting other artists, leaving her mark, no doubt, on them the way she does on those who love her music. Catherine Britt & the Cold, Cold Hearts is out now through Universal Music. Catherine Britt is one of the most exciting artists working in Australian country music. Not only does she release consistently excellent albums but she’s also producing music by other artists and running Rhythms magazine. She’s also recently added a baby to her life – and a new album, with the announcement of the upcoming Catherine Britt & The Cold, Cold Hearts. From that album comes the first single, ‘Red Dirt’, which is an ode to driving under outback skies. It is definitely a Catherine Britt song with her honkytonk and Australian country lineage, but that doesn’t mean it sounds familiar or tired, because Britt always releases music that is fresh and interesting. Watch the video for ‘Red Dirt’ below. Golden Guitar-winning singer-songwriter Catherine Britt is on the bright side of her treatment for breast cancer, and she’s enlisted some friends to help her say, emphatically, ‘F U Cancer’. The new single of that name was written by Britt with powerhouses Beccy Cole and Lyn Bowtell, who both sing on it, along with Kasey Chambers, Josh Pyke, Wes Carr and Wendy Matthews. Anyone expecting a gloomy tune, however, should adjust their thinking as this is quite a catchy, upbeat number. All proceeds from the single go to the McGrath Foundation. Also showing on Tues 31 May – COPACC, Colac, Wed 1 June – Sale, Thurs 2 June – Warragul, Sat 4 June – Ulumbarra Theatre, Bendigo. I’d like to start by addressing the obvious: you’ve been going through treatment for cancer that has included chemotherapy. A lot of people might want to have a rest after that but you seem to have just kept going. You’ve been in this show, performing. I’m presuming you’re feeing well. I am. I’m feeling pretty good. I’m just getting my body back into healthy shape – it got battered around pretty good through it all. So I’m just starting to get everything back in order now, I guess, and starting to feel a little bit normal. It takes a good year to feel 100 per cent again, apparently, but I think every day I feel a little bit more like myself and I’m definitely on the right track as far as getting my health back in order. It’s a slow process but I’m feeling better all the time. I saw you sing recently, and I have to say from my perspective of someone who has seen you perform a number of times, your voice is sounding better than ever and I wonder if you’ve noticed that shift. I don’t know. I’ve had a few people say to me that I’m singing better now than I ever have and I don’t know what that is, but I’m definitely feeling better in my voice, like I feel I can do things that I couldn’t do before. I don’t know if it’s a mental shift – I’m just more relaxed now because life’s too short – or if something happened in the treatment that made my voice better. But I’m definitely feeling that way – I feel a lot more confident in it. I’m really enjoying singing at the moment. So, thank you. You do seem very relaxed on stage and that might open up the channels. I do think being relaxed is a huge thing, and my whole mental state – the way I look at everything – has really changed as well, and I’m sure that makes a difference. I’m sure those things definitely change everything, really. So we’ll talk about the show – you are inhabiting June Carter Cash. Did you know much about her before taking this on? Yes, I did. I’ve been a huge fan of the Carter Family and June herself and Johnny for as long as I can remember. Probably one of the first artists I really discovered was the Carter Family. So I love their story – I think everyone loves their story. It’s such a beautiful love story. She was a real saviour for him and those sorts of stories don’t come along very often. When you’re doing a show that has such a profound and amazing story to tell, and the music of Johnny Cash to go along with it, it’s going to be brilliant, right? The both of them are failsafes. I wouldn’t normally do something like this but I think when I was approached and I read the script and saw the song list, I realised how special it really was and it was one of those one-off things that I really wanted to do. And since we’ve been doing the show, it really is a great show. The songs are so well written, they never get old. They’re just so great to sing and so classic and I really love it. 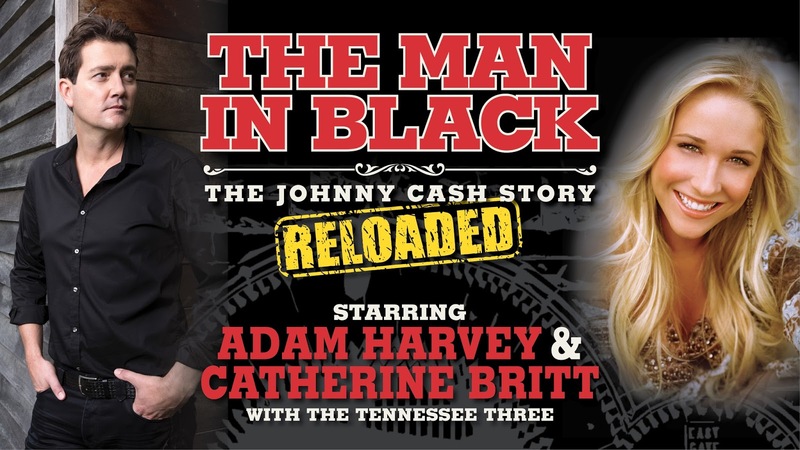 It’s not like we’re playing characters or anything – we’re Catherine Britt and Adam Harvey telling the story of Johnny Cash. It’s a little out of my comfort zone having to learn all that script. I basically tell the story as Adam sings, and I sing a lot of the harmonies, so my role’s quite different to what I’m used to, but it’s great. I really, really enjoy it. It’s nice to be in that offsider position on stage, where I’m not the one singing all the songs, I’m telling the story and doing something different – which really hurts my brain, to memorise that script. But it’s been really good for me to have to learn that and learn a new craft, in a way, which is great – I’ve always wanted to get into acting and things like that at some point. So I can see these as little baby steps towards those other, different things in the future. I’m really enjoying it. Adam also mentioned the script. As he was talking about it, and also listening to you talking about memorising it, I wonder if it’s because when you’re remembering lyrics there’s a rhythm and a set way that those lyrics are constructed that’s just not there when you’re learning straight monologue and dialogue. Well, that’s right – absolutely. With songs, melodies, they often tell you to make up a song if you want to remember something, right? A melody helps you remember. Some of it’s definitely easier. Learning a script was challenging for both me and Adam – we both really struggled with it. We’ve got it down now, but you’re always on edge, and that’s what makes the show kind of exciting. You’re thinking, Oh my god, I’m going to remember everything, right? You’re always re-reading, pushing yourself to be the best each night, and I think that makes it a little bit different. Because you get on stage and you are so comfortable, you tend to start getting into those same rhythms and telling the same jokes, and I try not to do that, but you do that naturally. Especially if you feel like the crowd isn’t connecting, you pull your tricks out. Whereas with this, there are no tricks, there are no jokes, it’s straight dialogue and the songs and it’s serious. So it’s really different but we’ve both really enjoyed it. And Adam does such a great job as Johnny Cash. He just sings those songs so well. It’s really great to get to sing with him in that capacity. I think what would be satisfying for the audience as well is not only knowing you two are established in your careers – so it’s not as if you’re outsiders coming into these roles – but both of you are very steeped in country music history and of course you on Saturday Night Country would bring your father in to talk about the history of country music, and Adam mentioned his childhood and teenage years singing along to Johnny Cash. The level of understanding that the two of you bring to this music must be infused in how you interpret the material. Definitely. We’re both huge fans of this music. I think it really is just ingrained in us now, this history of country music. Especially in me. I grew up with a dad just educating all the town, and every week I got to do that with him on SNC, and now we’re about to relaunch it as a podcast. We’re putting our first one out on the 1st of June. Which goes alongside – I’ve just bought Rhythmsmagazine so it’s Rhythms Radio podcast but it’s the same thing: the Kitchen Sessions with Dad, that’s what we’ve chosen to do. I’m excited to be doing that again and learning all over again from Dad. I always learn something new when I hear all that stuff and I’m fascinated by it. History in itself is fascinating but certainly if you’re interested in an area of it and music is everything to me, so learning more and more about it just makes me happy. You just casually said, ‘I just bought Rhythmsmagazine’ and then kept going – I’d like to go back to that for a second. I love magazines and think they’ll stick around, but a lot of people might think, Why buy a magazine? That’s amazing – congratulations. That’s a wonderful thing to do both for the idea of dreaming big, or working big, but also because you’ve made that shift for your lifestyle. It is really a lifestyle shift. We’ve bought a van and we travel around and go to festivals. It works like the ABC [Saturday Night Country] did. I was talking to my mates on the show and that’s why, to me, it felt like such a relaxed show and people really enjoyed it, because it’s a musician talking to a musician from a musician’s point of view. The magazine’s the same because a musician owns the magazine now. It really is a very different point of view and I have so much heart and soul in it, and I really want it to be about the artists and supporting the music scene in Australia and that’s what we’re doing. We’ve got rusted-on subscribers who just adore the magazine and writers – we’ve got the best writers in the country, I reckon, as far as music goes. They are just so passionate. They just work so hard and they’re just really all so invested in it. So we’re really lucky. It came with an amazing team of people. And the guy who started it, Brian Wise, still writes for us. And Marty, the guy I bought it off, still writes for us. It’s a real family. It’s a pretty special little business. Well, no. Because your songs are really ingrained in you, especially if you’ve written them – you know exactly where they’ve come from – whereas interpreting somebody else’s feelings, basically you’re singing their diary for them. It’s tough, you know. You’ve really got to get your head around that and get into that character and feel the emotions they were feeling when they wrote those songs. And telling the story – like I said, that in itself is a struggle. So it really is challenging for us. Which I love. I love a challenge. I love making myself feel uncomfortable, putting myself outside of the box. So all of that is really exciting for me but it is challenging, for sure. A lot more than doing a gig. [Laughs.] That’s true. I really do love to challenge myself. And I don’t like to make the same record twice, I really like to experiment and try different things, and I’m always discovering new music and being inspired. I’ve been really lucky to still have a career after all this time. Adam said something about luck as well. I said, ‘Maybe.’ Country music audiences are loyal but they’re also very discerning. The level of professionalism that both of you have delivering shows and delivering albums means that the audience keeps coming back. And you can have the stroke of luck, but if you don’t know what to do with it, it’s not much use. That’s true, I guess. You’ve got to be there when the so-called stroke of luck comes along, don’t you. You’ve got to be the one who grabs the opportunity. You’ve got to be a go-getter and somebody who works really, really hard. Both Adam and I do that. We’ve both really earnt our careers, I think, and I know Adam certainly comes from a hard-working place too, and he is very professional about running his business, and he’s got a family to take care of, so he takes it very seriously. I guess they’re the ones who survive, when you really do run it like an actual business. It’s really about running a business and being professional and working your arse off, because no one’s going to believe in you as much as you do. It’s really up to you to have a career. I think we both have an understanding of that, which is why we’re very lucky to still be able to do this, and pay our bills doing it. I think it’s also having an understanding of audience and paying respect to your audience. Your albums are different each time but what’s recognisable is your strong storytelling ethos and really great structure of the songs. So your audience can go with you on that. Yes – my voice is the same and it’s still my songs, and the style’s still there, but there’s slight changes: we do a new producer each time or we try something a little different, and that’s what keeps it interesting. All of my favourite artists do that, so I’m really modelling myself after my heroes. And you’re probably someone else’s hero – you just don’t know it yet. [Laughs] Yeah, maybe, I don’t know. You mentioned that Adam takes things seriously but of course he can be quite a joker. He told me that he would probably go easy on you – but has he? Has he played any jokes on you yet? No, not really. I’ve been on the road with Adam many, many times throughout the years and there’s all sorts of stories throughout our history. Adam’s like a big brother to me – we’re really, really old friends and we’ve just always gotten along really well, and taken care of each other. I think Adam’s really seen me at my worst recently and he was so supportive through all of that. Because Adam really is somebody who’s always making jokes and ready to grab a beer – he’s a real blokey bloke. But to me he’s a real friend and I’m very lucky to have people like that in the industry that I can rely on who aren’t just colleagues or people I see at work. I could call him right now and he’d do something for me if I need it. And that’s when I know that people are really my friends. We’ve all known each other for so many years and we’ve really bonded, so it’s good. Boneshaker was a terrific album. You’ve got the magazine, you’re doing this show. Adam mentioned that there might be some talk of the show going on. But: what’s next for you as a solo artist? I’m heading towards the next album now. My husband and I are looking at building a little studio at home, so I’m going to make a record at home next time. I’m actually going to meet with the label next week and start discussing it, so I guess I’ll start getting into songwriting mode and next-album mode. This year is really about getting those songs together then starting to plan the next record. There’ll be something out next year, for sure. And then we’ll go out on tour. I’ve stepped into a little bit of producing other artists, and I’ve just done a girl who I really believe in, a debut artist whose album I hope we’ll be releasing soon. So I’ll take her out on the road. There’s lots of stuff like that going on. I’m always doing a million things. Yeah. We’ve actually talked about it before, so that would be pretty cool. I don’t know if we want to run a label too, though [laughs]. 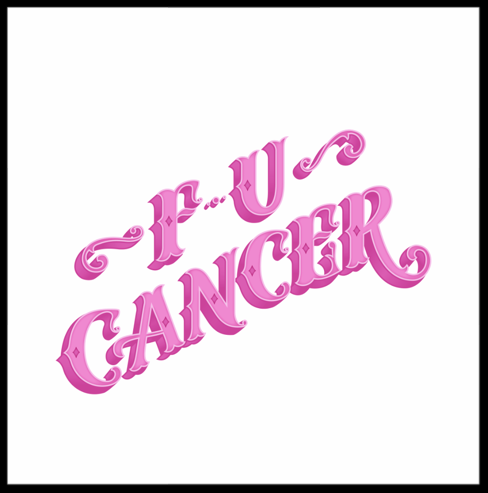 How did the FU Cancer tour go? It was amazing. We raised just over $10 000 for the McGrath Foundation just in donations alone. The shows were incredible, the guests were just unreal. We’re going to do it annually, a Newcastle one, and raise money for different things each year – raise a large amount for a local hospital or something like that. It’s pretty cool. It’s been a big part of my life for the last few months and I’m so glad it was so successful. We recorded a single to go along with it that’s coming out really soon through the label, and all those proceeds go to McGrath Foundation, which is pretty awesome as well. Catherine Britt is one of the most compelling, and interesting, artists at work in Australian music, let alone within country music. Her 2012 album Always Never Enough was an extraordinary collection of songs that were both musically and lyrically satisfying as well as being memorable enough to still demand listening three years on (and when you listen to as many albums as I do, that’s a big recommendation). Britt then released a ‘best of’ collection – The Hillbilly Pickin’ Ramblin’ Girl So Far – which could have seemed premature, given her youth, but she’s released enough albums for it to make sense. It also seems now to have been a way of demonstrating her progress as preparation for the release of Boneshaker. Boneshaker does not at all resemble Always Never Enough in terms of the subject matter of the songs or, really, the composition of the songs, although it’s unmistakably a country music album: the bedrock of country music tradition is there, and Britt’s storytelling nature also marks it as country. But the fact that it’s such a different album, and also that it is, actually, a progression is exciting. Always Never Enough contained stories about others yet it also felt quite personal; Boneshaker tells stories but seems to explore themes more than focus on individual stories. It is a contemplative album that also has its upbeat moments in a major key. The dichotomies of the album appear within the first two songs: the rollicking title track and then the solemn tale ‘Good to Bad’. Mostly – for me, at least – Boneshaker demonstrates that Britt is prepared to take risks with her music, and that means she’s reached a level of confidence in her musical, singing and songwriting abilities that enables her to explore. When an artist finds herself at a point where talent and courage match, anything may happen – and it’s usually great when it does. If she can hold her nerve – and regardless of the level of confidence, nerve-holding can be required – then the future looks amazing. In the meantime, this album full of individually great and collectively wonderful songs is the evidence we have that she’s an artist who deserves a very prominent position on the national stage. Boneshaker is out now through Lost Highway Australia/Universal. Catherine Britt is one of the brightest sparks of Australian country music – an accomplished songwriter and performer, with Golden Guitars, multiple albums and tours behind her, and she’s still only 28 years old. That may seem a young age to have a retrospective album released, but that’s what The Hillbilly Pickin’ Ramblin’ Girl So Far is. It’s a great introduction to Catherine’s work for those who are not yet familiar, and it’s a very fine collection of songs – not just a collection of singles – for those fans who want their favourites all in one place. I recently spoke to Catherine about the release of this new album, and about what’s ahead. You’re still so young that a retrospective may seem premature but looking at your output, it’s not. So I was wondering how you’ve managed to be so productive in such a short space of time, really. Well, yeah, I guess it is and it isn’t. Fourteen years, five albums in 14 years would seem a little lazy to some people. [Laughter] I don’t know. I’ve just tried to consistently release albums every two or so years, and take my time in doing it so that I release albums I’m proud of. I guess I didn’t realise I was at this point until the label suggested this ‘Best of’ and I had to look back and go, ‘Oh my God, yeah, I have been doing this for a while, eh?’ It’s been a long time, so it feels really good to be able to this. It’s a fantastic collection of songs but, then again, you did have a lot of great material to choose from. Was it a pleasure to choose these songs or did you find it difficult to pick which ones would go on it? A bit of both, to be honest. There’s only so much you can fit on a CD and there’s only so much video you can fit on a DVD, so we had to be a little bit selective, which was quite hard at times. But I think that, at the end of the day, we got it down to the best possible reflection of my career. So I feel pretty good about what we’ve put on there. The first songs are from your very first EP, which was released when you were 14, and you sound very assured on those songs – and you should assured for someone who is 34 or 44, let alone someone who was 14. But do you look back at yourself then and think that you weren’t that assured or confident or do you still look back and think, yeah, I knew what I was doing? [Laughs] Funnily enough, I felt like I did. I felt like I was really confident on who I was as an artist and I never denied myself that. I never held back from that. I always knew exactly what I was going to be and exactly the artist I wanted to be and I never got confused or strayed away from it, especially early on. I was very set in what I was going to do and no one was going to change that. It was nice to have that at such a young age. I felt pretty lucky, looking around at my friends who didn’t even know what they wanted to be when they grew up. And I’m, like, ‘Well, I’m going to be this and this is the sort of music I want to make’ [laughs]. I knew, so it was weird. Do you remember how you started to formulate those ideas when you were young? Because that’s quite a degree of clarity, I think, at an age when your brain is still literally a brain storm, they say teenagers have. It’s a very singular thing to focus on at that age. It is, which makes me wonder if I – I don’t know – I may have a little bit autistic ways in me, I think. In the fact that I focus on something and then that’s it. It’s definitely a slight sign there. But I just – I knew and I focused on it and it became a bit of an obsession and that all, I guess, stems from the artists that I loved. In the song ‘I’m Your Biggest Fan’, you write about your brother getting married and becoming a father very young and having a very focused life, really, setting himself up – him and his wife through education and homes and more kids. So I’m wondering, actually, whether it’s a family trait to be very organised and focused. [Laughs] Oh boy, I mean, we have a pretty special parents. They’re super smart and very – I don’t know – they’re very much like that. I guess they ingrained it in us to be organised and to be proud of who we are and to follow that path 100 per cent and never hold back. They supported us no matter what we did, even if they may have felt like it wasn’t the right idea. I mean, I’m sure my parents didn’t really want me to be a country singer [laughs]. But they supported it anyway, so that’s was nice. Well, and it’s paid off, it sounds like for you and your brother and, possibly, your other brothers as well. But listening to these songs, there are a lot of songs on the album so, I think, for fans, it’s definitely – it’s a lot of quality output on one album. The songwriting is really consistent in that it’s consistently very good. So it’s not like we could look at your early songs and say, oh well, Catherine didn’t know what she was doing and now she really does. So I was wondering if you look back on all of these songs and all of the albums and think that you have developed a lot as a songwriter at all or whether it’s just you’ve had that consistency of vision and storytelling throughout? Well, first off, thank you. Look, I think I’ve, hopefully, gotten better and, hopefully, grown as a songwriter. I still think my best songs are to come. I think every album I get slightly better at it. I’m still proud of my early songs and stuff. But I sing some of them at my gigs and it is from a 14 year old’s point of view or a 15 year old’s point of view, some of the songs. And it’s not really something I can totally relate to at 28 but I can because it was me. So I’m confused but, yeah, I knew what I was talking about back then, I’m sure [laughs]. Well, I think it sounds like it. And also as a singer because on that first EP, you had more of a, shall we say, hillbilly twang to the way you sang but it disappeared pretty quickly. So I was wondering whether that was something you were into at the time or whether there’s still a lurking hillbilly twang somewhere. I reckon it comes out pretty often. But I don’t know, I think I sang a little differently when I was younger, definitely. I was still learning to sing. God, I never really did any lessons or anything like that, which I should have done. I had no idea what I was doing and I just did it anyway [laughs]. So it’s a bit of a worry but I think I was still just learning. And every album as I went on, I learnt a little bit better how to sing in the studios and I got better because I was performing a lot. And my voice just developed and kept changing and growing so, hopefully, that will continue to happen. And I forgot to ask, when you were talking about the song selection, what the criteria were. Was it you looking at songs thinking, I’m going to put on the singles or the ones that people respond to when I’m performing live, mainly, or is it the ones that in my heart, I really want to put on there? The first disc was all about singles and fan favourites, so I based my show in Tamworth this year, I put out a thing on Facebook and asked my fans that were coming to the gig what their favourite songs were. I did a voting system and it’s funny, songs like ‘Drive-in Movie’, which is an album track I never released as a single, came up as the most-voted song. So I put that on there as well as ‘In The Pines’, which is one of the first songs I ever sang as a kid starting out at gigs. Then it became a bit of a signature track for me and, of course, the pilot track of my first EP for that reason. So I left off a couple of songs that were soft releases. Single number five of albums that just would tide me over but never really did anything huge and replaced them with some fan favourites. So it was a hard decision but, I think, it was the right one. And there’s enough variety on there for people who might already have all of the albums to want to have that particular arrangement of songs. I guess that’s part of the challenge for you as an artist, just thinking, if people already have all of my albums, how do I put these songs together so that it’s something – there’s something a bit new about it? Yeah, exactly. And I guess that’s also why we did the new single as well, so that there was a new track element to it as well. Not just all old stuff. And, of course, the B side on the CD has quite a bit on there that people wouldn’t have played before either. So there’s a fair bit of new stuff on there as well that will make it a little bit more of a special thing for people who already have my records. About the new song – there was a track you had on Always Never Enough about people in the music industry talking about other people behind their backs or whatnot. And it sounds like ‘Who Cares’ is a bit of a companion piece to that? Yeah, definitely. I think you’re talking about ‘Mind Your Own Business’? Yeah, yeah. Absolutely. I think ‘Who Cares’ was a song I’ve been wanting to write recently for the reasons of the song, really. I’ve struggled a lot with people talking and saying things. I don’t know what it is about me that [laughs] makes people want to – I don’t know – talk when I’m in a room. But it’s been something I’ve always had to deal with and I felt like this song was something I really wanted to say because it’s not important. Those things are so insignificant in the grand scheme of things and if you know you’re a really good person and you’re just doing the best you can do. There’s human error with everybody, then you can sleep well at night knowing that so, I guess, I really wanted to express that in a different way this time with ‘Who Cares’ and make it a bit more like I can’t let this affect me. You’ve got to just get on with life and be happy with who you are and be settled in that, so that’s a little bit of a progression from ‘Mind Your Own Business’. A bit ago, yeah [laughs]. But also just on that point of why people react the way they do. I sometimes think if you do have a clear vision about your life and if you’ve pursued it, that actually stands almost as a living example to people who like to believe that other people should do things for them. So people who would say ‘things keep happening to me and I don’t know why, it’s God’s fault, it’s the universe’s fault, it’s everyone else fault but mine’. If there’s someone like you who actually says, ‘I want to do this and I am doing it’, and then you’ve continued to do it, it shows up that other type of person that they have no excuse. And that could be very annoying to them. [Laughs] Okay, well, that’s – thank you. That makes me feel a bit better, I guess, understanding how they think. So … even though this interview is about the CD, you must have some new material in the works, I would imagine, because it seems like you always have new material. Yeah, I do. I’m working on another album now so I’m looking towards, maybe, releasing something mid next year. So this is perfect actually, it’s going to tide me over nicely. And you’re playing 23 January at the pub in Tamworth and will that be a band show or is that a solo show? Full band and it’ll be the Hillbilly Pickin’ Ramblin’ Girl So Far tour show so it’ll be, basically, our focus on this record and all the hits or whatever you want to call them, all the singles. It should be really good and a little different to what we’ve been doing, obviously, the last five or six years at The Pub with the Hillbilly sessions. I just wanted to bring it back to basics and just make it all about the career so far. So I’m looking forward to that actually. It should be really cool. I’ve got a great band together so I’m pumped. And will you do some more shows off the back of that or this is the main one with the band and then you might do some solo shows? This is it. I just do that one big show in Tamworth and then I, usually, go around and get up at Bill Chambers’s jam and things like that. But they’re all really small appearances and I do lots of interviews and things where I might play a song. But I usually focus on just the one performance. Other than my band, The Hillbilly Killers, have a show as well on the Tuesday night but that’s totally different [laughs]. So, yeah, that’s all I’ll be doing in Tamworth. That actually was going to be my last question – what’s happening with the Hillbilly Killers – but I think you’ve just answered it. Yeah, yeah. Well, that’s the next step. We’ve just been over in America. We played Americana Festival for all the Americans, which was pretty special, and now we’re doing another show in Tamworth. So it’s going to be our second consecutive year and then we’ll working towards an album release, by the sounds of it. So it’s all still moving forward and still happening slowly, because we’ve all got our own lives and busy schedules, especially Tim Rogers. So it makes it a bit hard to make things move fast [laughs]. Very true. Actually, I’ll ask you one final question – and this is, probably, a cruel question – if you had to pick one song on this album from your heart that you think, This is the song I just love more than the others, which one would it be? I said it was cruel. Yeah [laughs]. I think the most significant – which I think is different – the most significant song for me would, probably, have to be ‘Sweet Emmylou’. As far as the accolades that I received for it and the, I guess, attention it got, you’d never imagine that a single song would do so much and I’m so glad it’s the song that I love and still, to this day, love to sing and I’m really proud of. So I was lucky in that way, that it’s a good song. That’s one that I do at every gig so, yeah, I really love that song. The Hillbilly Pickin’ Ramblin’ Girl So Far is out now. Catherine Britt is appearing at the Tamworth Country Music Festival on the evening of 23 January 2014 at The Pub.